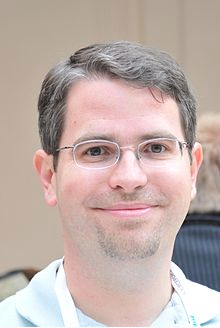 Every time Matt Cutts opens his mouth, the SEO industry goes into meltdown. As Google’s “head of webspam”, his job is to tweak algorithms in any way he sees fit to deliver the best possible search results to customers. Oh, and to sell more sponsored search results. When Cutts says something, those involved with search engine optimisation (SEO) listen. Each time Google release a new algorithm update a fairy dies. Or an SEO guru loses their job. Maybe even both. So when Cutts issued his latest commandment – Thou shalt not guest blog – there was collective disbelief from SEO agencies across the world. Cutts seems to suggest that accepting blog posts in return for free links is now a crime with a penalty worse than death – a demotion in search listings for the perpetrators. “So stick a fork in it: guest blogging is done; it’s just gotten too spammy” – Matt Cutts, January 20th 2014. For years guest blogging has been a failsafe way to earn back links from respectable sites in return for a decent article. But in a matter of seconds, Cutts had killed the technique (and all the people reliant on writing guest posts for a living). In full panic mode, several agencies immediately dropped their blogger outreach programs and cancelled all future guest blogging efforts. The fear of search engine demotion makes people do weird things – particularly when they rely on headlines and soundbites to make informed decisions. The funny thing is that in many respects Cutts is right. Some guest blog posts are complete junk. How many stupid “Top 10” lists have you seen masquerading as genuine insight for instance? In a rush to “earn” backlinks, some SEO agencies have actually been doing their clients a disservice. Yes, they have helped to place them slightly higher in the Google rankings, but poor quality content may have damaged their reputation in the process. And according to Matt Cutts, the latest changes to Google’s search strategy are intended to improve rankings based on reputation. Bad luck for writers of crappy guest blog posts then. One of the best ways to gain a reputation for expertise is to share knowledge. Ironically, writing guest posts for authoritative websites is a great way to do both. Kinda like most existing blogger outreach programs already did before Cutts killed the practice. But the only real change to the SEO landscape is the reason behind guest posting. Backlinks are out*, reputation growth is in. Updated guest blogging strategies should now be focused on the reader, rather than Google’s bots. We’ve always known the truth – people buy goods and services, not bots. Writing for robots is (and always has been) stupid. By creating quality content that people actually find useful, they are more likely to link to it themselves. Your guest blog is still earning backlinks even if they aren’t scattered throughout the text you write. Providing top quality content to owners of other sites is still a perfectly viable technique and should be continued. The key is to ensuring these guest posts are original, informative and of the highest quality. Much good writing + intelligent placement = much success. * Backlinks are still perfectly legitimate so long as they are buried in the author’s bio at the bottom of the post. Not stuffed throughout the entire text as in the days of old. You should also ensure that any links given for guest blogging are reserved for good quality sites with a high standard of content.